“Here in Romania, our multinational framework brigade is now operational,” Secretary-General Jens Stoltenberg said in Bucharest on Monday, thanking Romania for hosting the brigade. “We are also seeing increased allied presence in the Black Sea,” the alliance chief noted, adding that NATO jets are busy patrolling the skies over Romania and Bulgaria. “Our deployments are a direct response to Russia’s aggressive actions in Ukraine,” Stoltenberg said, speaking at the NATO Parliamentary Assembly in the Romanian capital. “NATO’s actions are defensive, proportionate and entirely in line with our international commitments,” he concluded. Stoltenberg went on to say that members of the alliance are “concerned by Russia’s military buildup close to our borders and its lack of transparency when it comes to military exercises such as Zapad 2017. This highlights the importance of our dual-track approach to Russia,” he said. What the alliance chief said next, however, sounded more like a mantra. Details of the new force size are unclear. Once a small force relying on troops from 10 NATO countries, the land, air and sea deployments will complement some 900 US troops already in place, according to Reuters. The land component of the multinational force is stationed at a base near the southern Romanian city of Craiova. Aside from Romania, Poland is the biggest troop contributor; Bulgaria, Italy and Portugal will train with the force in Craiova, while Germany is also set to contribute. Apart from routine NATO Black Sea naval patrols, a maritime presence will feature more allied visits to Romanian and Bulgarian ports, training and exercises. Some Eastern Europeans reportedly want NATO's new ballistic missile defense shield, which includes a site in Romania, to be part of NATO's eastern posture vis-a-vis Russia. 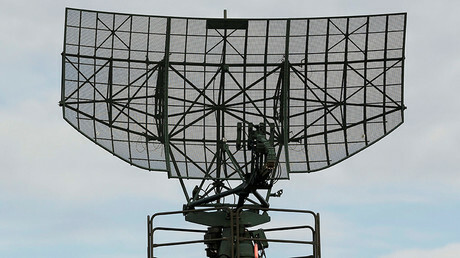 "The Aegis Ashore system would add another level of deterrence," Maciej Kowalski, an analyst at the Polish Casimir Pulaski Foundation, told Reuters. NATO’s military activities near the Russian border have been repeatedly criticized by Moscow, which has accused the alliance of undermining the security balance with its eastward encroachment and military provocations. Russian Foreign Minister Sergey Lavrov said in a speech at the UN General Assembly in New York last month that NATO is currently seeking to revive the Cold War climate instead of building a dialogue with Moscow. Russia has long been trying to remove the legacy of the Cold War but received no support in its efforts from its partners in the West, the minister noted, expressing regret that “some countries still prefer force to dialogue." "The West constructed its policy on the basis of a principle, ‘If you are not with us, you are against us’ and proceeded with hideous expansion of NATO to the east,” Lavrov said. Last month, Russia conducted the Zapad 2017 (West 2017) military drills, which took place on the territory of Russia and Belarus. 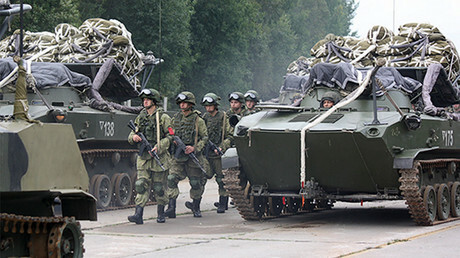 The exercises involved about 12,700 servicemen, including up to 5,500 from Russia and about 7,200 from Belarus. 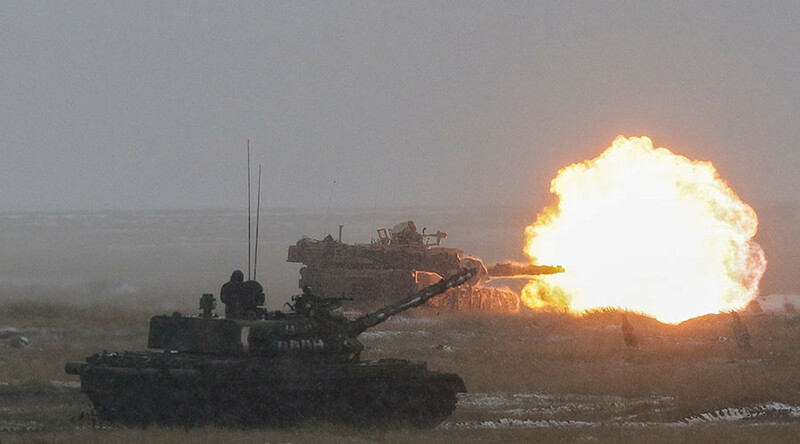 The drills caused hysteria in several countries neighboring Belarus, including Ukraine, with the country’s commander-in-chief, Viktor Muzhenko, claiming in an interview with Reuters that Russia had allegedly withdrawn only a few units from Belarus. 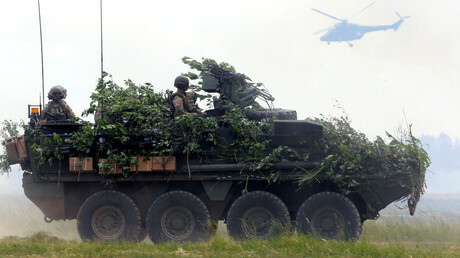 "As for the units of Russian troops who took part in the joint strategic ‘West 2017’ exercise, they all returned to the points of permanent deployment," Russian Defense Ministry spokesman Igor Konashenkov stated in September, adding that Muzhenko's allegations about "hidden" Russian troops in Belarus "demonstrate the depth of the degradation of the General Staff of Ukraine and the professional incompetence of its leader."